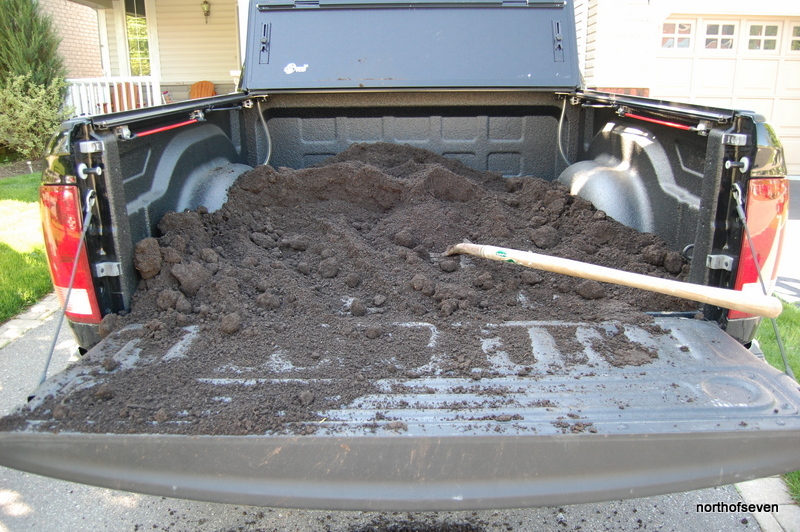 Step 1 – Go to local landscaping company to get just over half a cubic yard of triple mix soil and load it in the back of your pick up. 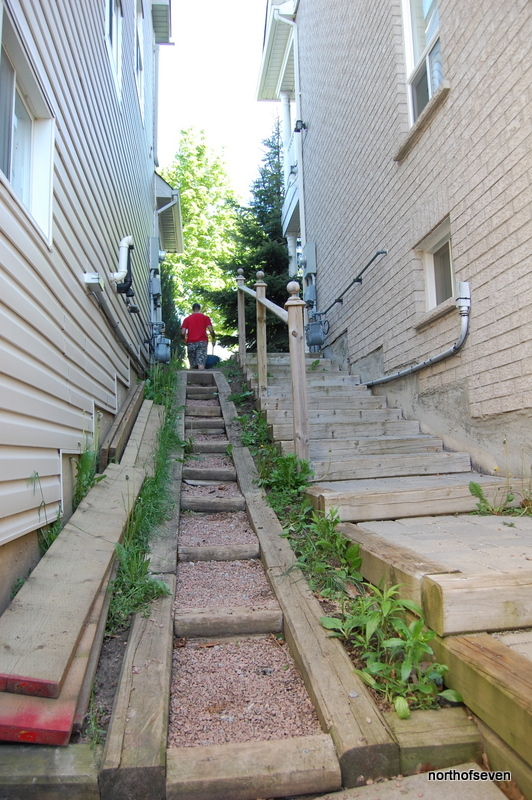 Step 2 – Take soil in wheelbarrow down these stairs. 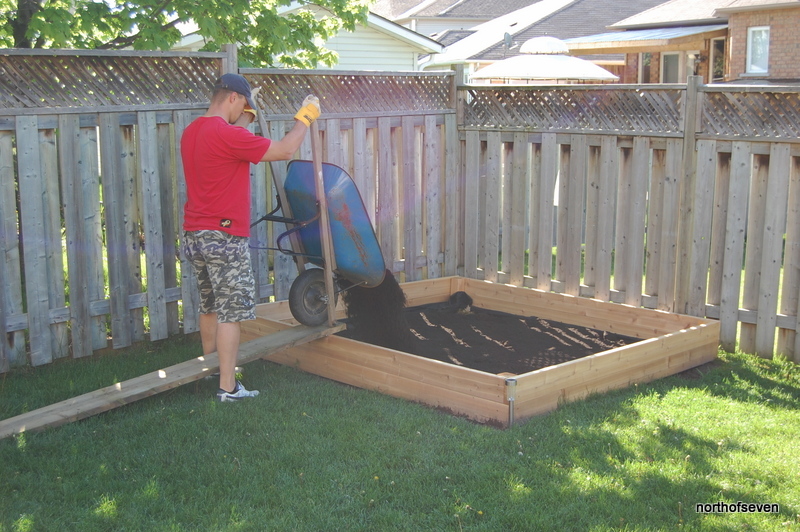 Empty into garden bed. 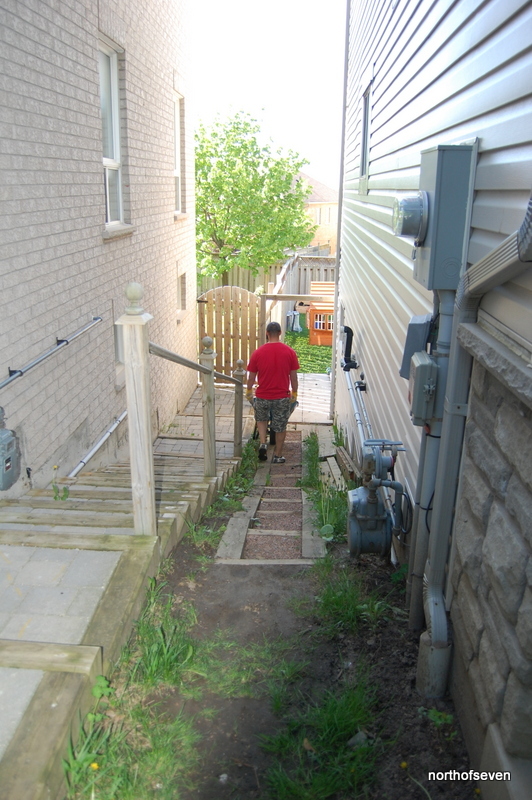 Step 3 – Take empty wheelbarrow up flight of stairs, re-fill. Repeat for next hour and a half. 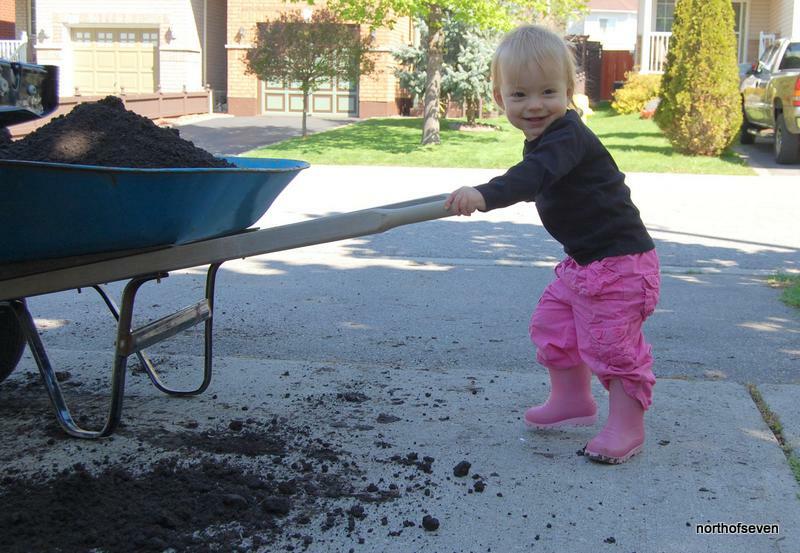 ***Cute little helper not included (that’s the kid not the husband, though the term is also applicable). 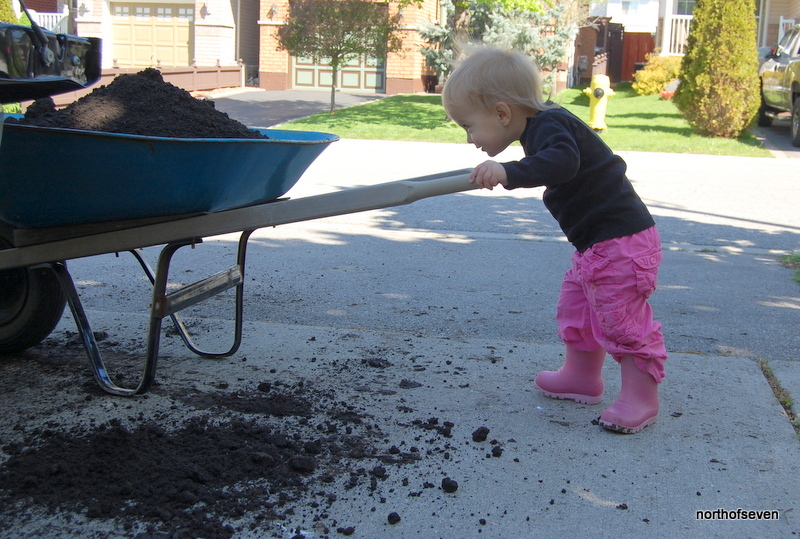 Step 4 – Run out soil. Go back with emptied truck, re-fill with a cubic yard of triple mix. Go back and repeat Steps 1 – 3 for another hour and a half. 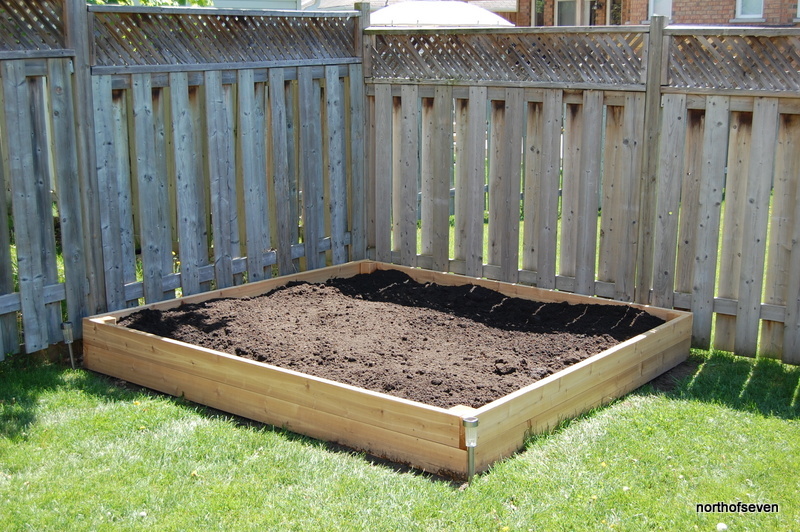 Step 5 – Three hours later, stand back and let soil settle in your future vegetable garden bed (for approx 2 days). Offer husband beer and a back rub.